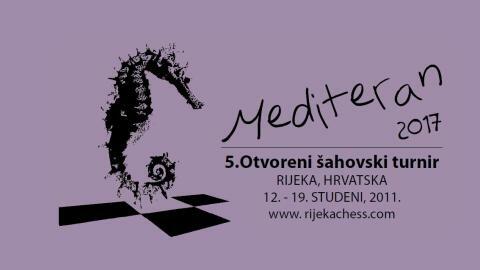 The 5th “Mediterranean 2017″ Open Chess Tournament was held from 12th to 19th November in Rijeka, Croatia, under management by the local Chess Club “Rijeka”. The tournament took place concurrently with the 21st World Senior Chess Championships. 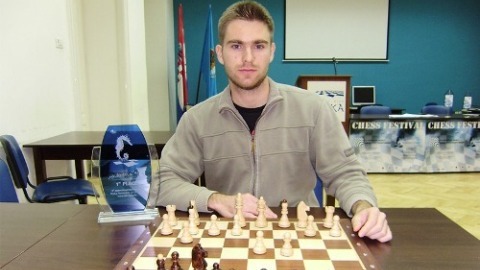 The chess organizers from Rijeka are very active, having already hosted the Mediterranean Flower women tournaments, the 7th Mediterranean Men and Women Chess Championships in 2009, and the 11th European Individual Men and Women’s Chess Championship. GM Davorin Kuljasevic and GM Zdenko Kozul, who were exchanging the lead through the tournament, eventually together passed the final mark with 7 points each from nine rounds. Davorin Kuljasevic grabs the winner’s trophy on slightly better Buchholz score. 97 players competed – full standings bellow.